I'm seeing many people riding horses that are not broke to lead effectively. I see riders competing on, or just pleasure riding on horses that are distracted, can't stand still, or are pushy when in hand. Some are doing pretty well in competition on these horses, but in the more severe cases these horses are barely manageable on the ground and when in the saddle the rider is just a passenger averting bad things because the horse may be marginally directional and stopping only because the horse gets tired on someone pulling on his mouth. Some of these horses are older, have grown dead mouthed and usually have seen many different owners, while others are young horses that just have some holes in their education. For sure, some of these handlers are riding horses that I wouldn't ride,....until I got those problems pretty much fixed. Saying your horse just has a lot energy or saying that he's a natural leader isn't the reason he is taking control. And just because a horse is the lead horse in your herd doesn’t mean he is a brave horse. Horses usually take control because they are fearful. And in a leadership vacuum, the horse will look out for himself, basically assuming that leadership position. You just can't let him be the leader in the two animal herd consisting of him and you. I learned the lesson, over and over, that just because a horse is rideable doesn't mean he has ground manners. The funny thing is that I am likely not finished re-learning that lesson. 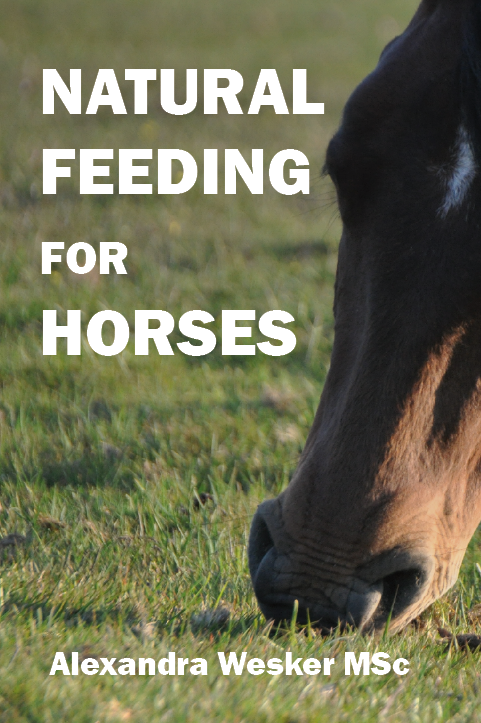 One solution is to start new horses over, from the beginning, rather than try to fix holes in their behavior as they crop up and become a problem. 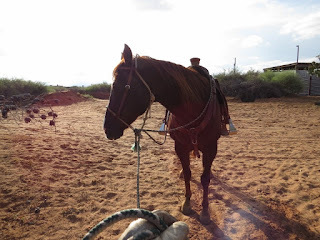 I had a client bring me a horse the other day and as I walked up to the horse and rider, who was in the saddle, I noticed the horse was distracted. The rider was using a snaffle bit and was in contact with the horse, who feet wouldn't stop moving. The horse then pushed through the bit and tried to walk over the top of me. I said to the rider "I was about to ask you what your issues are with him, but he just told me. Can you dismount and lead him in hand to the round pen?" That horse didn't lead much better. Walking past or into the handler; not stopping when the handler stopped; and when the handler got the horse stopped moving forward, the horse's feet wouldn't stop moving sideways nor would his head. These are what the FBI calls a clue - an indicator that the horse doesn't have ground manners, nor broke to lead. Some clinicians will say that if a horse is truly broke to lead, you can lead or send him anywhere,....through a gate, down into a hole, or into a trailer. And that horse won't have his head on a swivel nor trying to eat off the ground all the time. Nor will a horse who is really broke to lead be pulling the lead rope through the handler's hands. You can have a safe horse and not be perfect on the ground, but I certainly want a horse to lead correctly and give to pressure of the lead line. Leading correctly means not running over the handler or even getting into his space; not be distracted but focused on the handler for the most part. The horse should be able to stand still on a loose lead when asked. When leading in hand the horse should maintain his position where the handler wants him, usually just off the right shoulder a couple feet to the side and to the rear, and maintain the handler's pace when being led in hand's, whether that pace is at a crawl, or a fast walk, or even a jog. I'd want any horse that I was fixing to ride to be sound in these things. If they aren't then trouble is just ahead. When the horse is distracted, like in the picture at left, he should be directed back to the handler. I don't make a federal case out of it, but if a horse is looking somewhere else instead of on me, I'll bump his head back to where he has two eyes on the me. Usually after the third or fourth time that you have to correct a horse's lack of attention, the horse will figure this out and as you go to bump his head over, as soon as the weight on the lead line is different, he'll correct himself - then you know you are making progress. Again, I don’t make federal cases of him getting distracted momentarily, but you just can't allow him to tune you out to check something out whenever he wants to. When the horse is stopped the handler should be able to move about without the horse leaving until there is a signal on the lead line. He should simply stand still on a loose lead and not move until you direct him using that lead. If he tries to walk up on you, you get his attention then back him off and make an offer to him to stand still again. This is something you likely have to do over and over, but the horse will get it. The picture, above left, shows a horse standing quiet on a loose lead. As I change the weight and therefore pressure on the lead, above right, the horse begins to follow that lead moving towards me. When you lead he needs to stay in position, some people like that position right at their right elbow, some like it a step or two back, regardless of where you want your horse positioned when you lead him, when you stop, the horse needs to stop and stand still until directed someplace else. If your paces changes, his needs to change as well. As you are walking him out, if he start to move ahead of you, a bump on the lead line downward or to the read should be a signal to him to mind his pace and position. The picture above left shows the horse leading correctly on a loose lead. The picture above right shows my hand moving back on the lead to bump him back into position. You should be able to pickup the lead in the direction you want the horse to move and the horse should move off and move of quietly. Like if you open a gate and want the horse to move through it by himself , you should be able to pickup on the lead in that direction and he should walk off. The picture above left shows he horse quietly moving around me a walk following the lead. If his head becomes oriented outside that arc, I will lightly bump his head back into position slightly tipped to the inside. You should be able to pickup the lead and pull his head towards you to get him stopped and facing up. 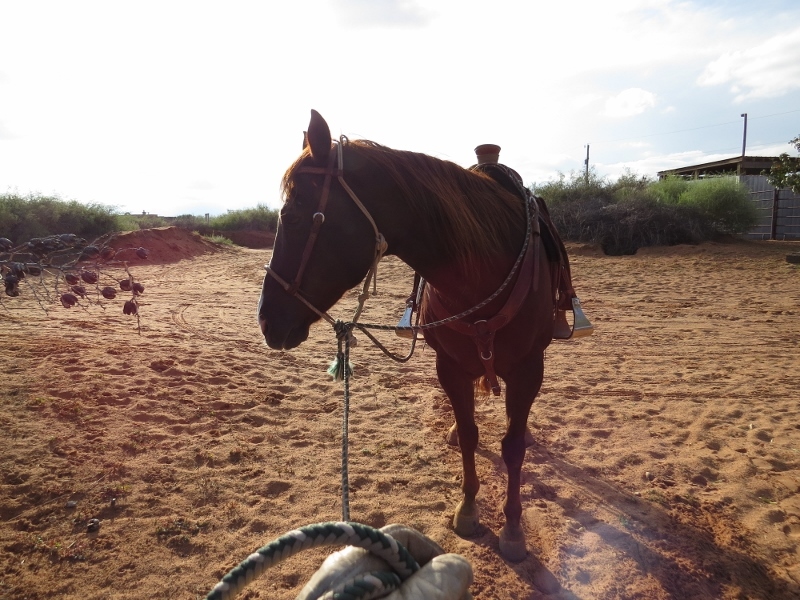 This may require a pull (not a jerk) in the beginning, but as you horse gets softer to the feel of that lead, he'll get softer and more responsive to reacting to that pressure and facing up. If the horse begins to walk towards you without you asking him to, I don't make a big deal out of it, I just correct him, give him chance to think about it, then ask him to approach me. Of course these are all very basic things, but I continue to get surprised at people are riding horses who aren't schooled in these basics. Many of these people ride much better than I ever will, but I think fixing these holes in their horses will make a better horse and save the some problems down the road. Safe Journey.